Democratic leaders in the House of Representatives discreetly quieted two members of their party on Wednesday who were attempting to force a vote censuring Iowa GOP Rep. Steve King for comments regarding white supremacy. 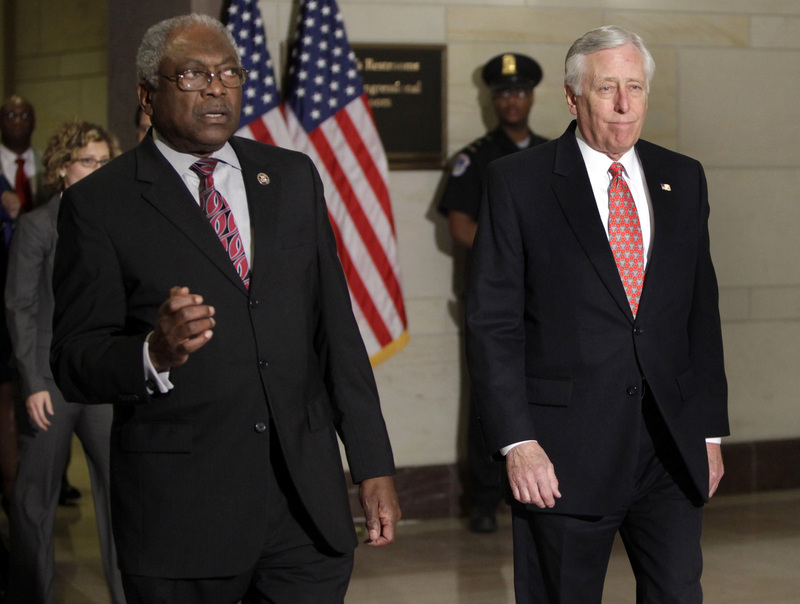 House Majority Leader Steny Hoyer and Majority Whip Jim Clyburn, along with other top Democrats, convinced Democratic Reps. Bobby Rush of Illinois and Tim Ryan of Ohio not to force the House to vote on a motion to censure King, according to Politico. Regardless, King was stripped of his committee assignments after GOP leadership convened Monday and concluded his statements regarding white supremacy were too offensive. Democratic House leaders had reportedly been cautioning their rank-and-file party members that any further attempt to censure King could end up harming Democrats in the future. “Steny [Hoyer] showed some concern about it going back and forth — not that I think there is any moral equivalency at all with recent comments that people on our side have made,” Ryan told Politico. Ryan’s comments were specifically referring to Democratic Rep. Rashida Tlaib of Michigan; hours after the freshman Democrat was sworn into Congress, she was recorded telling a crowd of left-wing supporters that she is going to “impeach the motherf****r,” referring to President Donald Trump. Democrats reportedly worry that filing a motion to censure King would ultimately result in the same being done to Tlaib.